This innovative textbook presents the key foundational concepts for a one-semester undergraduate course in the theory of computation. It offers the most accessible and motivational course material available for undergraduate computer theory classes. Directed at undergraduates who may have difficulty understanding the relevance of the course to their future careers, the text helps make them more comfortable with the techniques required for the deeper study of computer science. The text motivates students by clarifying complex theory with many examples, exercises and detailed proofs. This book is shorter and more accessible than the books now being used in core computer theory courses. 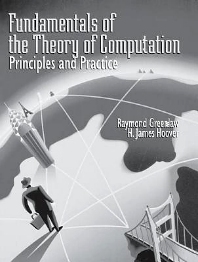 Theory of computing is a standard, required course in all computer science departments. Academic, courses on theory of computation. Languages and Problems. Regular Expressions and Languages. Fundamental Machines. Finite State Control Machines. Properties of Finite State Languages. Fundamental Machines. Stack and Tape Machines. Grammars. Computation Complexity. Circuit Complexity. Feasible Problems. Intractable Problems. Dr. Raymond Greenlaw is the Founder and Dean of the School of Computing and Professor of Computer Science at Armstrong Atlantic State University in Savannah, Georgia. Ray is the Distinguished Professor of Computer Science at Chiang Mai University in Thailand and a Distinguished Visiting Professor at the College of Management and Technology in Kuala Lumpur, Malaysia. He is the author of 13 books in the field of computer science. His books cover complexity theory, graph theory, the Internet, networking, operating systems, parallel computing, the theory of computation, and the World Wide Web. Dr. Greenlaw has published 60 research papers and given over 155 invited lectures throughout the world. As a PI or co-PI, Ray has been awarded over $6,000,000 in grants and contracts, and his research has been supported by the following countries: Germany, Hong Kong, Iceland, Italy, Japan, Malaysia, Spain, Taiwan, Thailand, and the United States. He has won numerous international awards including three Senior Fulbright Fellowships, a Humboldt Fellowship, a Japanese Society for Promotion of Science Fellowship, two visiting Professor Fellowships from Italy, a Sasakawa Fellowship for Japanese Studios, and a Spanish Fellowship for Science and Technology. Dr. Greenlaw served as the Regional Coordinator for the State of Georgia’s $100,000,000 Yamacraw Project, which was designed to make the state of Georgia a leader in the telecommunications field. Ray serves as a Commissioner for the Computing Accreditation Commission (CAC) of the Accreditation Board for Engineering Technology (ABET). He received a Bachelor of Arts in Mathematics from Pomona College in 1983, a Master of Science in Computer Science from the University of Washington in 1986, and a Ph.D. in Computer Science from the University of Washington in 1988.